Welcome to PB Electronics, your Police Radar and Lidar Service, Repair and Calibration Center. When it comes to radar and lidar, our job is to make you happy. We have been in the radar repair industry for 40 years and are currently serving many hundreds of Police Departments. The owners, Paul & Andrew, have built this company on fast quality service, and with this philosophy, it has grown to many satisfied customers worldwide.  We are a Factory Authorized Service and Warranty Repair Center for Kustom, Stalker, Laser Technology, and MPH. Call us today for any of your police radar repair or certification needs. We certify and repair all makes and models of police radar and Lidar. We have VERY FAST repair and calibration service: We have a one day turnaround on all radar and LIDAR certifications and we have a 1-2 day turnaround on 95% of all radar and LIDAR repairs. We have a 90 day warranty on parts and labor on repairs, and our technical staff is FCC licensed and factory trained. For a free repair estimate or to have your unit certified, fill out our Online Repair Form, print the e-mail confirmation, and send it in with your unit(s). No preauthorization necessary. E-mail us if you want to sell your RADAR or LIDAR. We will respond to your inquiry with an offer. We welcome your feedback and suggestions. Our business hours are 9 a.m. to 6 p.m. EST, Monday through Friday. You may e-mail (radar@pbelectronics.com) us 7 days a week, 24 hours a day for orders and for questions concerning radar repair and calibration. We answer e-mails throughout the day from 9 a.m. till 11 p.m., 7 days a week.